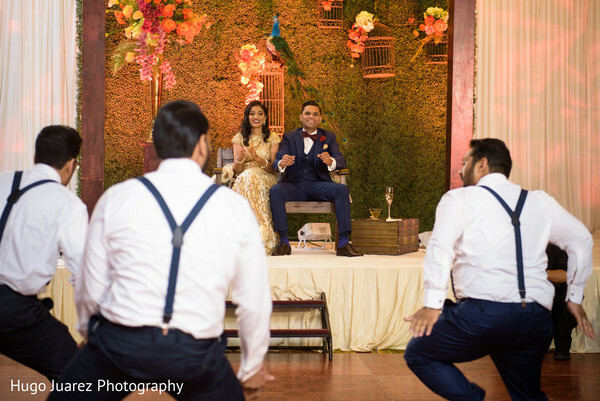 Ring to Aisle Events has definitely tickled our Indian wedding-lovin' senses today with Helee and Vinit's perfectly planned celebration at the Park Ridge Marriott in New Jersey, and we're winding down with the newlyweds' most unforgettable reception highlights — beautifully captured by Hugo Juarez Photography. 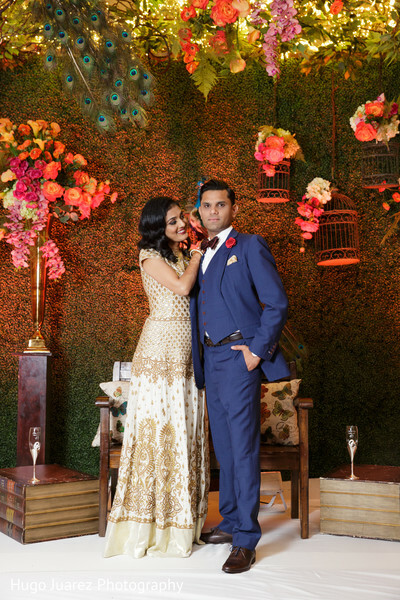 The Indian bride of the hour is dazzling in a white and gold gown, and we love everything about it! 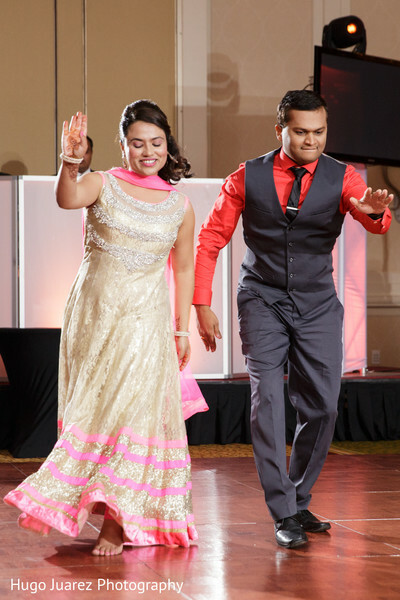 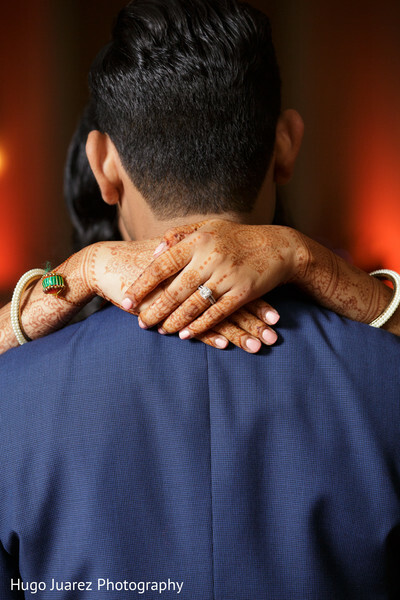 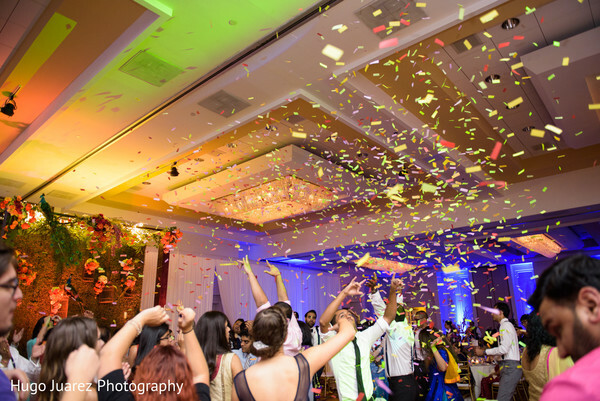 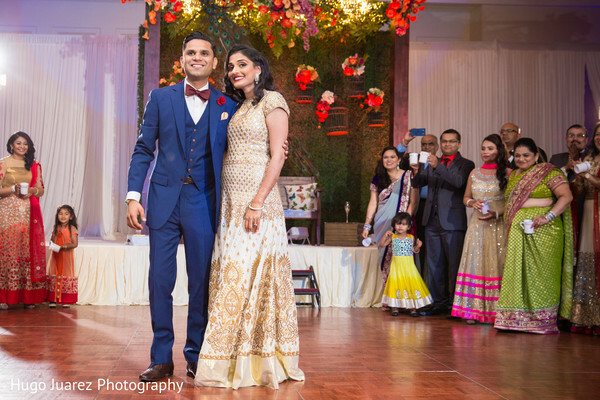 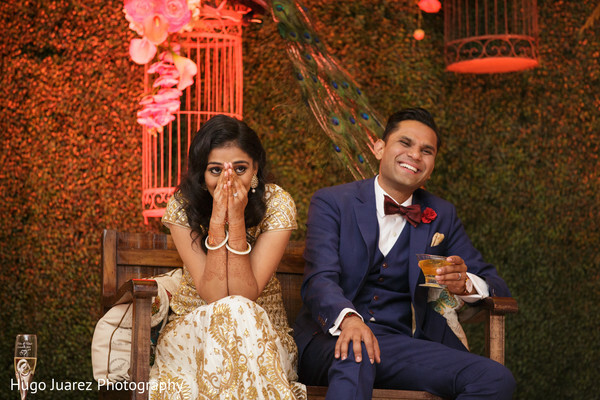 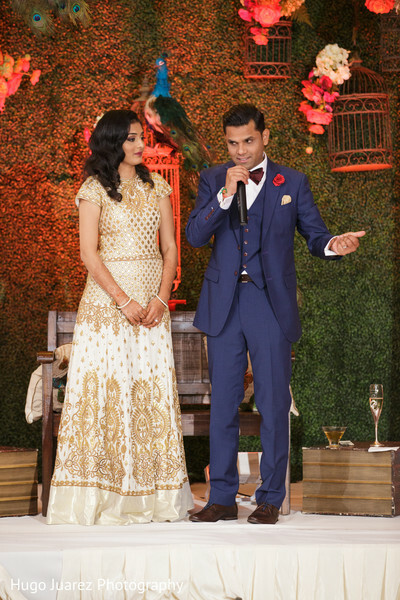 Helee's beauty expert from Carolyns Makeup Artistry made sure her reception hair and makeup were on point, and the terrifically talented team from Rangoli Weddings brought her Desi dream wedding reception to life with some seriously enchanting elements! 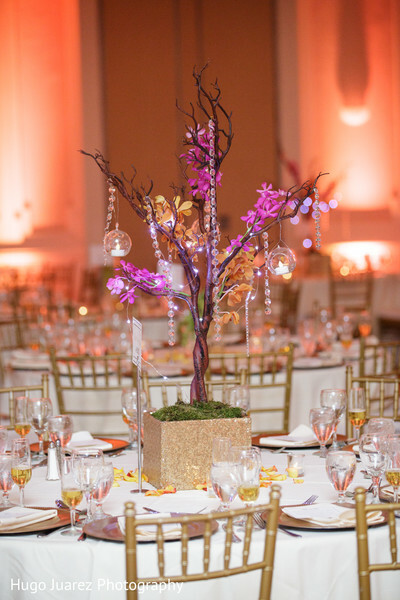 We just adore the garden-themed sweetheart stage and contemporary branch centerpieces! 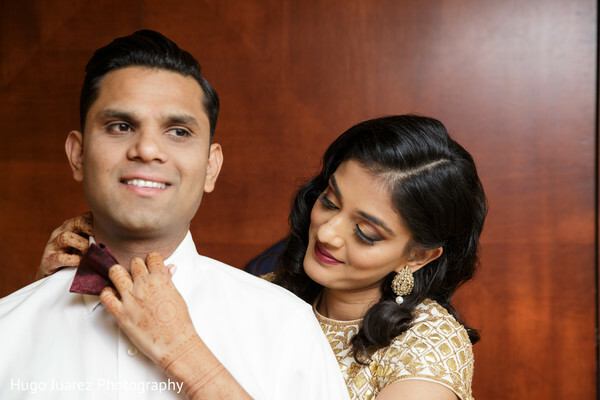 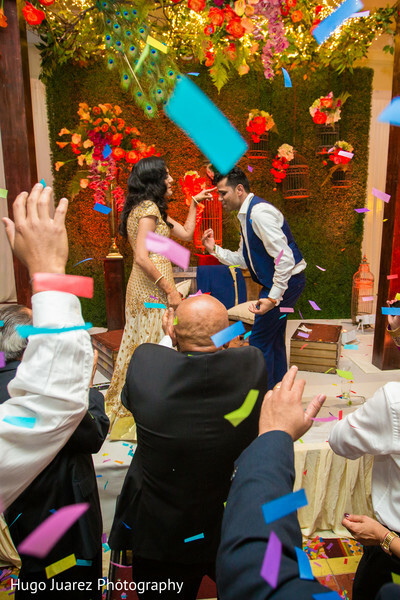 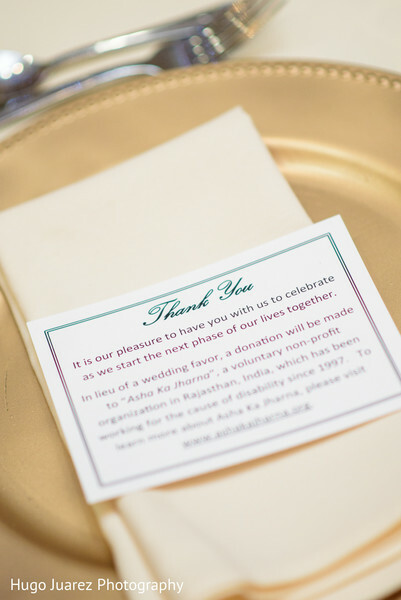 You'll have to visit the complete gallery for an exclusive look at the rest of Helee and Vinit's reception details, including their amazing cake by A Little Cake!